Alzheimer’s disease can be a devastating illness for both patients and caregivers. However, many of the symptoms may be preventable by following a good diet and getting regular exercise. Researchers at UCLA’s Semel Institute for Neuroscience and Human Behavior made this claim after observing structures in the brain associated with Alzheimer’s. The disease is best known for deteriorating the mind, but what makes Alzheimer’s different from other causes of dementia are the plaques and tangles of toxic protein that develop in the brain over time. As these structures grow, brain cells die, critical connections are damaged, and cognitive function worsens. 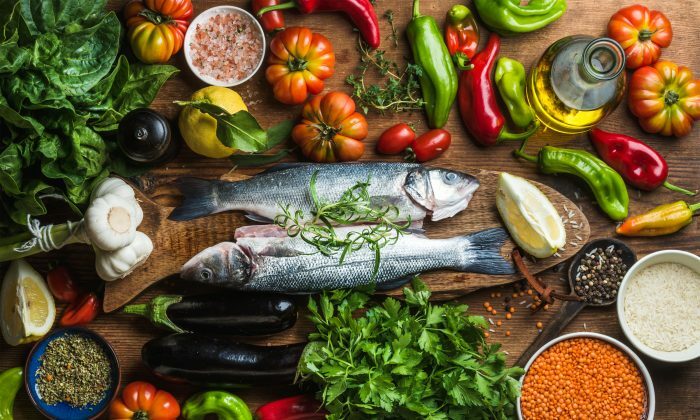 The study, published in the September issue of the American Journal of Geriatric Psychiatry, found that subjects who ate a Mediterranean-type diet (rich in fruits, vegetables, fish, and olive oil), were physically active, and maintained a normal body mass index reduced these brain-eroding protein build-ups. Until recently, doctors didn’t have the technology to observe abnormal proteins in living brain tissue, and a positive Alzheimer’s diagnosis could only be confirmed with an autopsy. However, positron emission tomography (PET) now allows researchers a window into the brain of living patients. According to lead study author Dr. David Merrill, the particular PET technology used in his research is not approved by the U.S. Food and Drug Administration (FDA). Some more widely accepted PET scans can detect plaques and others can see different types of tangles, but the one used in the UCLA study is the only scan that simultaneously labels both. It’s a distinct advantage, but one other researchers have been slow to adopt. “This is more science politics than a clinical care issue, at the moment,” Merrill said in an email. Merrill treats patients with cognitive problems at the UCLA Geropsychiatry Comprehensive Cognitive Health Clinic. Scientists have previously identified a genetic component associated with Alzheimer’s, but emerging research suggests that even those with a strong predisposition for the disease may be able to avoid it through lifestyle interventions. Merrill points to other evidence (both clinical and population studies) that has linked a healthy lifestyle to delayed onset of Alzheimer’s—including a recent aging study from the Mayo Clinic that found a healthy lifestyle led to higher brain volumes. Age is the number one non-modifiable risk for Alzheimer’s, and since people are living longer, experts anticipate a rapid increase in the number of cases over the next few decades. Alzheimer’s is the sixth leading cause of death in the United States (more than breast and prostate cancer combined). It is estimated that 5.4 million Americans currently suffer from the disease. By 2050 that number is expected to jump to 13.8 million. There is no cure for Alzheimer’s, but there are FDA-approved drugs that slow the worsening of symptoms. To keep Alzheimer’s at bay, Merrill recommends that his patients follow the same exercise advice the American Heart Association gives for heart health: 30 minutes of aerobic exercise five days a week and strength training two days a week.